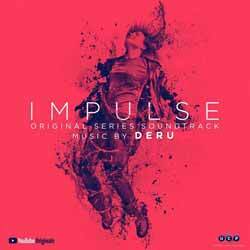 Benjamin Wynn's (aka Deru) score for Impulse represents an electronic collection of ambient musical cues and set pieces. Normally I wouldn't be that interested in a score like this, but Deru adds a lot of atmosphere into the mix. The inspiration for the score revolves around the Cristal Baschet, a French instrument that involves getting your fingers wet and rubbing glass rods that make two metal radiators vibrate and come to life. The instrument acts as the score, as well as the series's foundations. I don't know what it is about monikers and why some composers use them. It's a strange practice. Normally I'd assume it was a well known composer not wanting to be identified, as the work is not their usual fare. Volker Bertelmann (aka Hauschka) is also well known for doing this, but of late he's taken to reverting to his real name with "(aka Hauschka)" tagged on. Could it be that the idea of a moniker sounds cool and modern, until you realise that no one knows who you are - and that can make getting future work a little tricky? It's a score that brought to mind ambient dance music, which when done well is quite relaxing and hypnotic. Deru delivers an intricate and noteworthy soundtrack but it won't be to everyone's taste.